While much of the East Coast and Midwest is going through a mega-deep freeze (stay tuned – we'll be chatting about that later this week), California has its own weather problems. The state has been hammered by torrential rains, which are causing mudslides and mass flooding, plus major snowstorms. In short, the rain in SoCal right now is no joke. As ABC news reports, Central California got 6 inches of rain last week, while Southern California received 4 inches of rainfall. The state was also ravaged by high winds – up to 164 mph, or the strength of a hurricane, in some regions – which blew down trees, damaging vehicles and homes. Unfortunately, the storms ravaging California aren't just damaging to property; they're dangerous, too. Falling trees and downed powerlines pose a public health risk, and AccuWeather reported on Sunday that 6 deaths have been attributed to the storm. 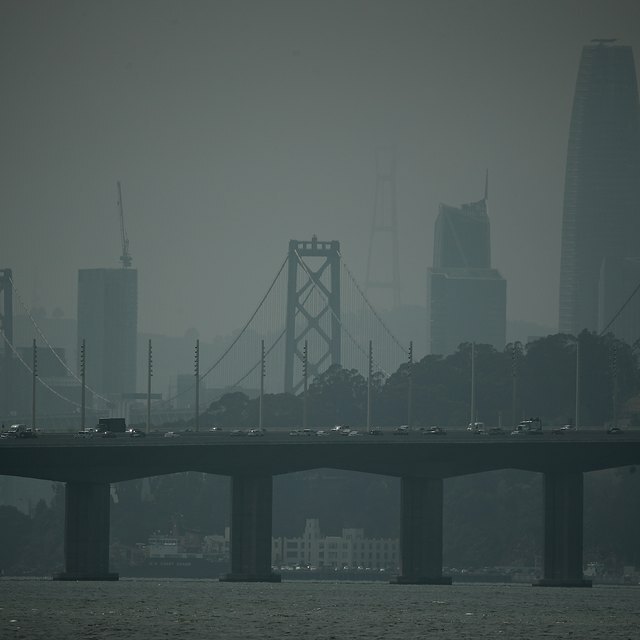 The dangerous side effects of the storm are especially risky for areas of California that recently experienced wildfires. Camp Fire – a region of California that experienced a wildfire last November that displaced more than 50,000 residents and killed more than 40 people – was hit particularly hard by flooding, reports ABC news. That's because forests that were destroyed in the fire would normally help absorb water and control soil erosion. But because the forest was ravaged by wildfires, it can't help offset some of the effects of the rainfall – so Camp Fire is more prone to flooding and mudslides. The Butte County Sheriff's Department had to issue an evacuation notice to residents in the area due to the risk of flash flooding. And in Southern California, the Army Corps of Engineers launched emergency projects to repair dams at risk of failing, a last-ditch effort to keep neighboring regions from flooding even more. Repairs to one of the highest priority dams – the Whittier Narrows Dam on the San Gabriel River – could protect more than 1 million homes from flooding, the Los Angeles Daily News reports. Rain and flooding is bad enough, but that's not all California is dealing with right now. Northern California was hit by massive snowstorms: One ski resort near Lake Tahoe got a staggering 69 inches of snow, while other resorts in the area got 2-4 feet of snow. Not only did the National Weather Service have to issue a weather advisory for hail, snow and funnel clouds (the type of clouds that can turn into tornadoes), the National Avalanche Center issued a warning for a high risk of avalanches – just one step below the most serious ("extreme") warnings. Extreme weather events have always been a thing – but if climate news seems more apocalyptic lately, it's not all your imagination. And California's drought and flooding problems can be linked to global climate change. As USA Today explains, climate change can trigger "precipitation whiplash events." That means instead of having a moderate amount of precipitation year round, which is more predictable and easier to manage, the weather is either really wet or really dry. That leads to droughts that threaten our food supply and increase the risk of wildfires – or, on the flip side, lead to the kind of precipitation that triggers mudslides, flooding and avalanches. Add in the rising sea level, which we've experienced thanks to global warming, and California is more prone to flooding than ever. So speak up about the effects of climate change when you see extreme weather making headlines! Making addressing climate change a priority goes a long way toward raising awareness of how climate change affects your local weather – and might help protect against extreme weather in the long-term. Tremblay,, Sylvie. 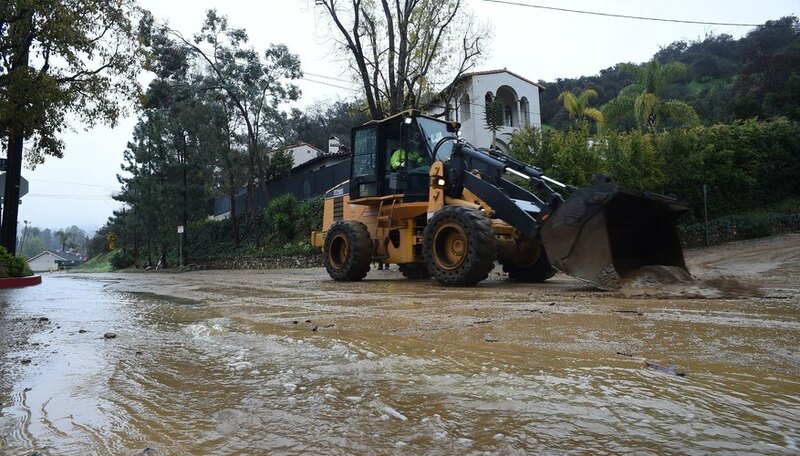 "Mudslides, Flooding and Avalanche Warnings – Why California Had Such a Wet Weather Week." Sciencing, https://sciencing.com/mudslides-flooding-and-avalanche-warnings-why-california-had-such-a-wet-weather-week-13716807.html. 23 January 2019.